The creation of elusive combat railway missile complexes (BZhRK) in the Soviet Union significantly boosted the country's defense capabilities. 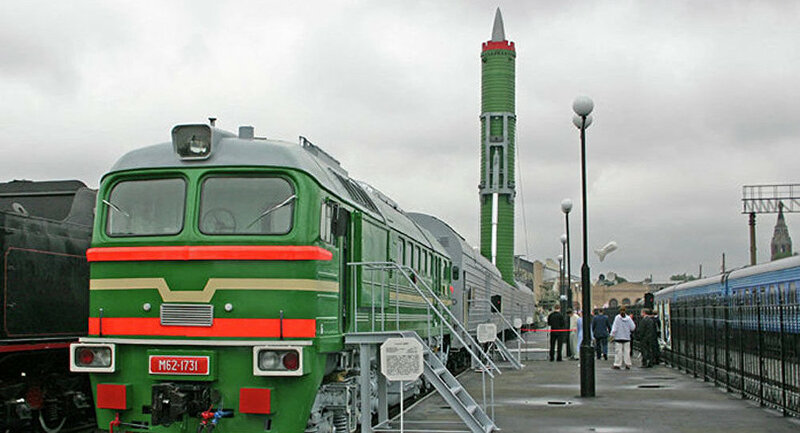 Sputnik contributor Andrei Kots and military expert Igor Korotchenko explain how Russia's modernized Barguzin nuclear trains may nullify the US concept of a prompt global strike now. Russia's elusive Barguzin combat railway missile complex (BZhRK) is undermining the US doctrine of Prompt Global Strike (PGS) which envisages knocking a potential adversary out in as little as an hour, Igor Korotchenko, the editor-in-chief of National Defense magazine, told Sputnik. The Pentagon's PGS is aimed at providing the US with the ability to strike targets anywhere on Earth with conventional weapons within one hour, in the same vein as a nuclear intercontinental ballistic missile (ICBM). Korotchenko emphasized that "this doctrine implies the destruction of the military-political leadership of the country, military command posts and silo launchers with one powerful blow." "However, if [the Americans] do not have the exact coordinates of all its [adversary's nuclear] launchers, the doctrine won't work," the expert said. He stressed that in the light of NATO expansion and the deployment of new high-precision weapons by the United States, the Barguzin BZhRK will be "a trump card for Russia," since it "creates an uncertainty factor." "The BZhRK is a railway-car-based strategic missile system, which is absolutely indistinguishable from an ordinary freight train," Sputnik contributor Andrei Kots explains in his recent op-ed, "Its cars are fully equipped with ICBMs, command posts, technological and technical systems, communications equipment and personnel — missile officers." Given the vast length of Russia's railroads as well as the number of trains crisscrossing the country, it would be near impossible for foreign intelligence services to detect the elusive Barguzin. In the event of a threat of nuclear war, Barguzins go out on patrol routes merging with the flow of other trains. Once the order to strike comes, the combat train stops and prepares for an attack: the shutters on the roofs of three cars disperse to the sides, while the hidden mechanisms bring the launcher into the vertical position. In another couple of minutes several ICBMs take to the skies in the direction of the aggressor. Speaking to RIA Novosti, in July 2017 Deputy Prime Minister Dmitry Rogozin confirmed that Russia's defense industries were in a state of "absolute readiness" to produce Barguzin trains, along with the accompanying heavy 100-ton ballistic missile. 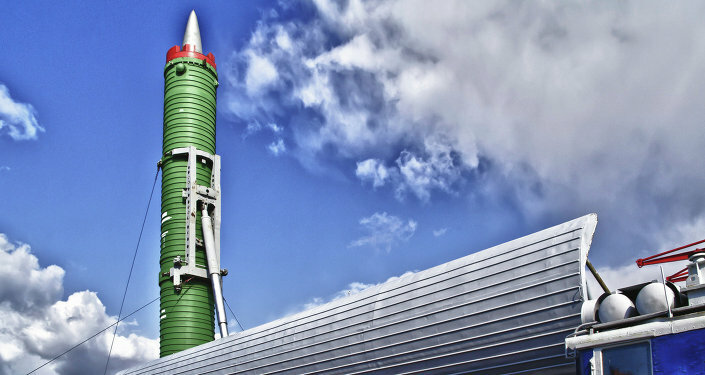 In November 2016, a series of successful ballistic missile tests were carried out at the Plesetsk Cosmodrome in northwest Russia which involved rockets specifically designed for the Barguzin project. There is little information about the Barguzin system in open sources, but it is known that the complex will carry up to six solid-fuel RS-24 Yars ICBMs which could deliver from 3 to 6 combat blocks with a capacity of 300 kilotons each over a distance of 12,000 kilometers (7,456 miles). Kots recalled that thirty years ago a testing program for a unique strategic weapon was completed in the USSR; the railway-car-based RT-23 Molodets intercontinental ballistic missile system (ICBMs), known among NATO member states as SS-24 Scalpel. By 1991 the USSR had three guided missile divisions consisting of 12 trains with 36 launchers. Following the collapse of the Soviet Union, Russia agreed to sign the START II Strategic Arms Reduction Treaty, which envisioned the utilization of all RT-23 missiles, in 1993. Between 2003 and 2007 all Molodets missiles were disposed of except two which were left as museum exhibits. It appeared that there was no need for them, Kots remarked. However, in the current decade, the BZhRK project has taken on a new significance: in December 2013, the press reported about the revival of the elusive combat railway missile systems on a new technological basis. The new project was codenamed "Barguzin" after a strong Baikal wind. 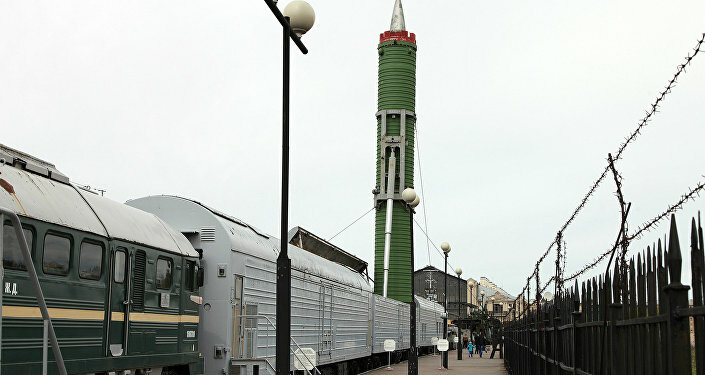 Although the striking range of the RS-24 missiles is less than that of the RT-23, the Yars weighs half that of the Molodets simplfying its installation and transportation in a standard car. More importantly, RS-24 Yars ICBMs are not subjected to the START II treaty. "Most likely the [Barguzin] project will receive funding under the state armaments program for the years 2018-2025," Kots emphasized.